The work of Kuramoto is to prepare a good rice full of their own quantity for Kurabito. On top of that, if you make careful handmade unique to pure rice, you should surely have good Sake. It keeps building without omission as usual, and it does not convey to the side of a drinker. 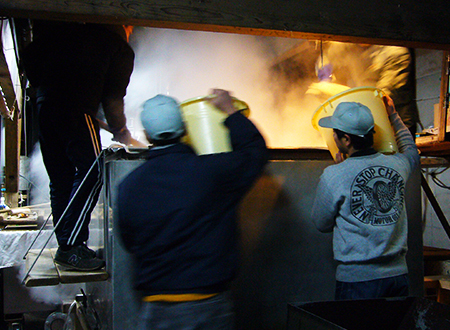 Depending on the climate, water and rice of each Kura, different kinds of Sake can be made. A thousand taste of a thousand Kura. This is the richness of Sake in the true sense, I think that providing a versatile personality is a real service for a drinker. There are things for Sake alone to enjoy with Sake and something to enjoy in accordance with dishes. Generally, it is said that it is suitable for diches if the acid is high, but the Sake that matches the flounder and the Sake that matches the steak have their own taste and will also change according to personal preferences. If dishes and Sake are good, the blissful moments will come when each other complement each other and forget the time is too long. Please enjoy the Sake made by Shinkame together with meals. Born in Tokyo in 1979. 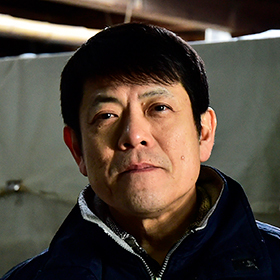 After graduating from high school, succeeded the family business "Nishizawa liquor store". 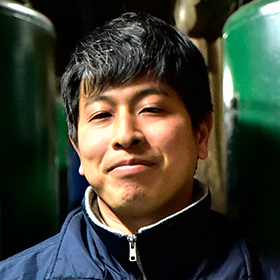 When 23 years old, impressed with Yoshimasa Ogawahara, the predecessor of Shinkame Brewery, and made Nishizawa liquor store specialized in Junmaishu. In 2013, joined this brewery. In April 2017, took over as President. And reaches the present. Hobby is fishing.